In 2017, Run In Lyon is supporting the AFM-Téléthon! In 2017, Run In Lyon is involving the AFM-Téléthon in the race: for every paid registration, we will donate €1 to the association. By supporting this fight, those pushing themselves to the limits will contribute to a race against time, battling against disease and taking part in this huge supportive action which is for everyone’s benefit. 2. What is the AFM-Téléthon? 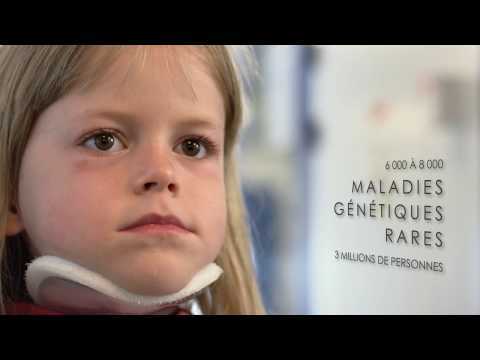 Created in 1958, the AFM-Téléthon is an association for patients and their families who are affected by rare, genetic disorders which destroy muscles, one after the other: neuromuscular disorders. To find out more, go to the AFM-Téléthon page. 3. What’s the connection with the television programme? In 1987, the AFM launched the 1st edition of the French “Téléthon”: a unique televised fundraising event which mobilised the French population and rapidly broke all the records (in 2016: 30 hours of live broadcasting on France TV, 12 million viewers, almost 93 million euros, more than 10,000 towns involved). This programme brought rare diseases into the limelight and allowed a triple genetic, social and medical revolution to occur with the development of biotherapies. 4. What are the missions of the AFM-Téléthon? Playing, running, living: none of these are possible without muscles. To cure these diseases which were once considered incurable, the association pursues a balanced, multifaceted strategy which benefits all rare diseases (3 million sufferers in France) and furthers the progress of all forms of medicine. It also helps patients and the AFM-Téléthon develops innovative solutions to meet their needs. Through its actions and its positions, the AFM-Téléthon has advanced the rights for all those suffering from disabilities. Research dedicated to muscles and rare diseases has created a wave of solidarity which has brought together researchers, experts, patients and their families. And it is the determination involved, the capacity to work together and the promise of a joint achievement, today and in the future, that will make the difference. For the 2nd year in a row, Run In Lyon is joining up with Les Restos du Cœur to avoid food wastage at the feeding stations! The charity will start collecting all the extra food at the feeding stations as the last runners by. Collection of clothing in the starting areas which will be given away or recycled: remember to leave them in the baskets set up for this purpose, as near as possible to the start line.